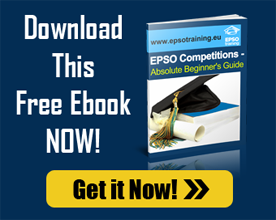 The following EPSO Profiles Law related are the most frequent ones to be included in the EPSO Competitions planning. Helping to analyse and summarize files in order to prepare the position to be taken by the institutions, legal officers, and/or lawyers instructed. Helping to draft advice on questions relating to law, litigation, or procedure. Conducting preparatory research and analysis of European and national law. Compiling files on Community and national litigation and enforced recovery of debts. Carrying out research and managing requests for access to documents from European citizens within the framework of applicable legislation. Monitoring action taken, the procedural stages (pre-litigation and litigation phase), and compliance with deadlines. Post-secondary education attested by a diploma in the legal field or a level of secondary education attested by a diploma giving access to higher education, followed by at least 3 years’ professional experience relevant to the nature of the duties.